I've had a very rewarding end to the year. I suppose you could say I went back to my roots while digging up my roots. That is to say, I returned to where my genealogy habit hobby began. In late summer 2010, I tried my hand at genealogy. 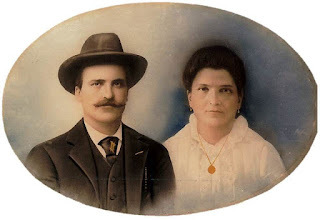 Drawn to my earliest known immigrant ancestors, I started researching my Italian second great-grandparents Giuseppe and Maria Filomena (La Rocca) Ruoti. Born in Potenza, Italy, they immigrated separately to the United States in the late 1800s and married in Denver in 1890. Even as a novice, I took the research serious. I enrolled in an Italian language course so I could read the documents, trekked out to the nearest Family History Library, and spent my weekends trawling through reels of microfilmed 19th century Italian vital records. It was a tedious process, but I made good headway. 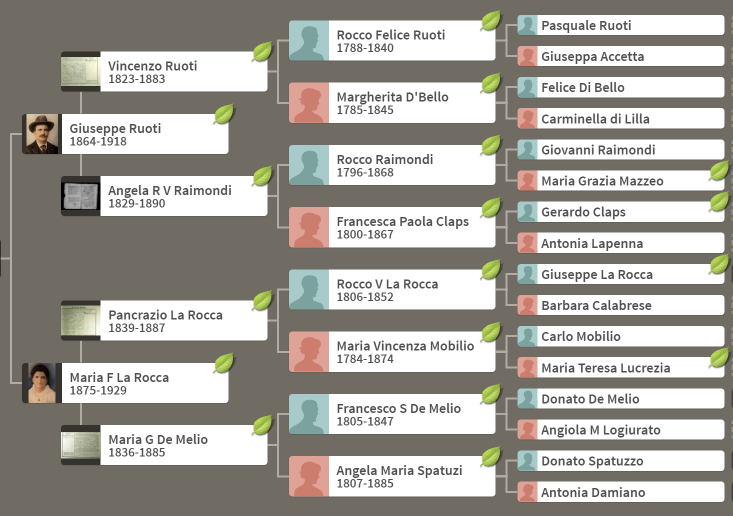 I mapped out nearly a dozen Italian ancestors, including all of my fourth great-grandparents and two of my fifth great-grandparents. Then I stopped. Other family lines won my attention. Since that time, a lot has changed in the landscape of Italian genealogy. Many of those vital records that I had to order and view on microfilm are now available online. I don't have to haul myself to the nearest Family History Library. I can simply jump on the computer. The eased access to records meant that it was time to get back into Italian genealogy and grow my family as far as the records would permit. Fortunately, the records permitted quite a bit! I've been doing genealogy going on seven years. It's not often that I discover a new direct ancestor. Much of the low hanging fruit has been plucked. That's why this past week of research was unusual and marvelous. I was off work between Christmas and New Year's. No workaday world demanded my attention for an entire week. Can you imagine? Seven glorious days to indulge the all-consuming family history hobby habit. I loaded up the records and slowly, one by one, found my long-forgotten Italian ancestors. One record led to another and revealed new ancestors along the way. Hours sped by as I stared bleary-eyed at countless indices. 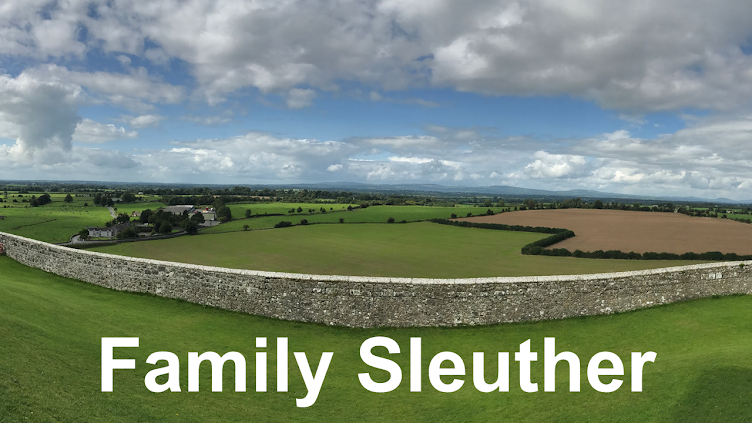 With each new name taking a place in my family tree, it felt like I won the lottery and a ridiculous wealth of family history. Sure, you might say I was ancestor collecting like a newbie genealogist, but I refuse to feel guilty. After all, I have spent the better part of this year researching one ancestor; learning in fits and starts the tiniest detail (stop the presses! He owned horses!) in the hope that the slimmest shred of information may reveal the identities of his parents. As this week wraps up, I've now located documentation confirming the names of all 16 of my Italian fifth great-grandparents - not to mention a few of my sixth and even seventh great-grandparents! In total, I discovered the names of 22 direct ancestors this week (and there are further generations sealed in those records!). These are people whose names probably haven't been uttered in decades; whose existence has faded from all living memory. Now, over a century after the last one passed away, their names are no longer trapped in black and white ink awaiting discovery. They patiently waited for me - someone who would not exist without any one of them - to find them and breathe them back to life. They now take their rightful place in my family tree. 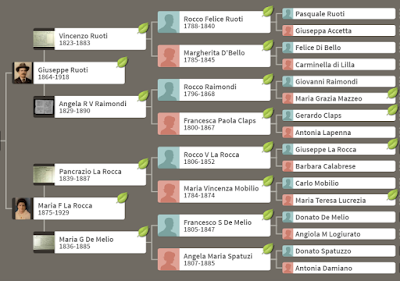 I too feel like I won the Italian Genealogy Lottery this year! My brick wall was shattered this summer with help from a friend who saw a data set put online that very day on Ancestry.com. She found my paternal great-grandparents marriage certificate! Since then I ordered reels of microfilm and have copied more direct ancestors names and info. I have been on cloud 9 ever since. Congratulations on all your great finds! That's fantastic, Gayle! We live for those new records to be uploaded online, don't we? :) Funny how one document can we really open the floodgates to future research. Good luck and thank you for stopping by. You are inspiring me to return to my Italian ancestors' research. But in the village they come from there seem to be only FROSIO's and ROTA's and it is SO difficult to figure out which one are mine!!! Annick H.
Thanks for your comment, Annick. It can be difficult to get your big break, but there are a lot of helpful resources out there. For example, the online Italian Genealogy forum includes a lot of friendly, helpful volunteers eager to help you locate your correct family line. If you haven't already, I encourage you to check them out (http://www.italiangenealogy.com/). It's a site that played a big role in advancing my own Italian genealogy research. Good luck!